It took 20 years for the Assam government to issue a notification declaring the 133.45-hectare area of Deopahar in Golaghat district as reserve forest. It may be mentioned that Deopahar was at the centre of a legal battle over Numaligarh Refinery Limited’s (NRL) boundary wall and its proposed township. The notification declaring Deopahar as a reserve forest came after the Supreme Court dismissed NRL’s petition, on January 18 challenging National Green Tribunal (NGT)’s 2016 order to demolish the boundary wall that came up on the then proposed reserved forest, blocking the movement of elephants, report TOI. According to the report, though the Assam government had issued the notice on January 19 it became public only recently. 1891, the Governor is pleased to declare Deopahar as a reserve forest. 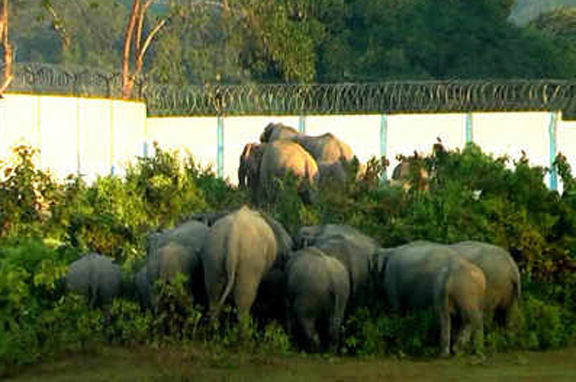 The issue of NRL’s boundary wall on the elephant corridor was pending since 1999. Rohit Choudhury, environment activist and petitioner of the case in the NGT, said the declaration of reserve forest has at last given legal recognition to Deopahar. In 2016, the National Green tribunal had ordered demolition of the boundary wall constructed by the NRL authority that came up in the area in 2011 as it is part of Deopahar and also falls in the “no development zone” issued by the Union ministry of environment and forest in 1996. The order of 2016 also said that NRL’s proposed township also falls in Deopahar. The NGT had given one month’s time to the NRL for demolition of the boundary wall and ordered that the proposed township should not come up in the present location. In January 18, 2019, the apex court dismissed the review petition filed by NRL.